the buggy. Cut a little triangle out of the circle. 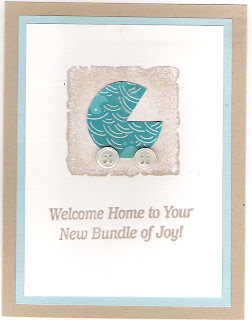 Add two little baby buttons for the wheels and add your verse. I layered this one to bring all the colors together.